For the past 20+ years, LiverSupport.com has sought to deliver pertinent, engaging news, information and wellness options to those with liver concerns. While some passionate projects grow from curiosity, LiverSupport.com bloomed out of both curiosity and necessity. LiverSupport.com’s creator was a licensed healthcare professional in New York. One day in 1996 he got the surprise of his life – a diagnosis of non-a, non-b hepatitis. You see, hepatitis c, as it is referred to now, hadn’t yet been discovered. From the time of discovery, he immediately began treating himself holistically, as the mainstream medical recommendations were the equivalent to chemotherapy – with long-lasting negative effects. He researched all of the literature he could find regarding liver disease and natural healing. He combed the library. And, once it became available, he dove headfirst into the Internet. After consulting with naturopaths, homeopaths, clinical nutritionists, holistic M.D.s, etc., one of the first supplements he began taking regularly was milk thistle extract. So much was written about it with regard to its centuries-long successful use around the world for liver ailments (and every holistic practitioner he consulted with recommended it without reservation). There was no other herb that had as impressive a reputation as milk thistle for liver support and protection. As a healthcare professional, lifelong learner, and avid reader, he continued to seek out new information. He found that many patients were in the dark about how they could improve their health without suffering the often devastating side effects of prescription options. It was then that he found an impressive milk thistle product that would improve absorption and bioavailability, providing much greater benefits than the standardized product he was taking. With the information he had gained through his continued research and reading, he found that the best way he could help others was to share what he had learned – through LiverSupport.com. Today, that same passion persists to drive LiverSupport.com as our researchers and writers continue to share all that we can about liver health and alternative therapies through our website, research reports, and liver health newsletter. Over 63,000 people have followed our supplement recommendations and included them as part of their daily health plan. 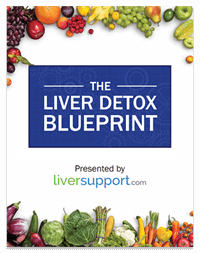 Over 120,000 have subscribed to our LiverSupport Health News newsletter that contains the latest liver health news, engaging “Readers’ Favorite” liver health articles and liver-friendly recipes you’ll love. We believe in providing you with the most up-to-date information for all forms of liver concerns as well as vitamins, quality milk thistle products, and other well-researched supplements to support not only your liver, but your entire being.